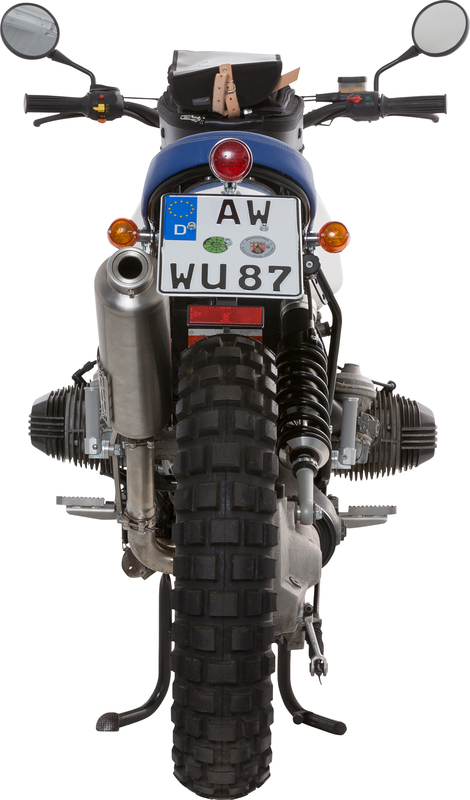 DER BLAUE FRANK - The classic Enduro: rebellious, down-to-earth, with spirit and TÜV! 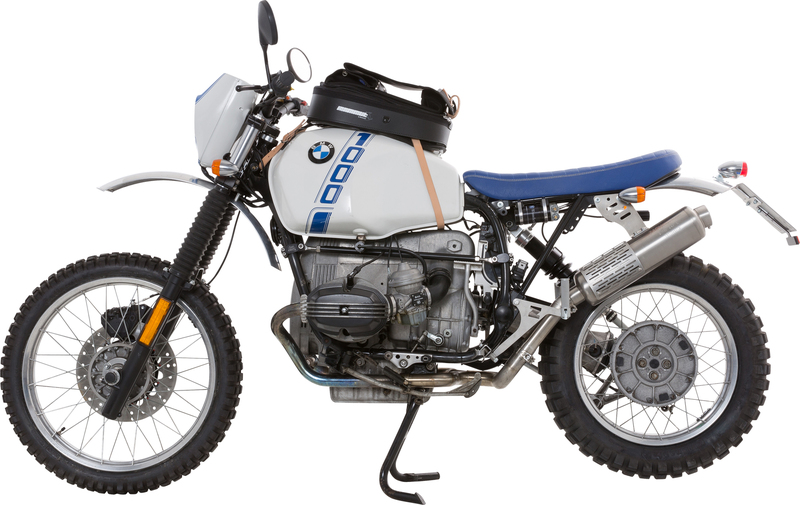 With the BLUE FRANK, not only are we presenting a paralever GS converted into a classic Enduro, but also our "rolling" conversion concept. 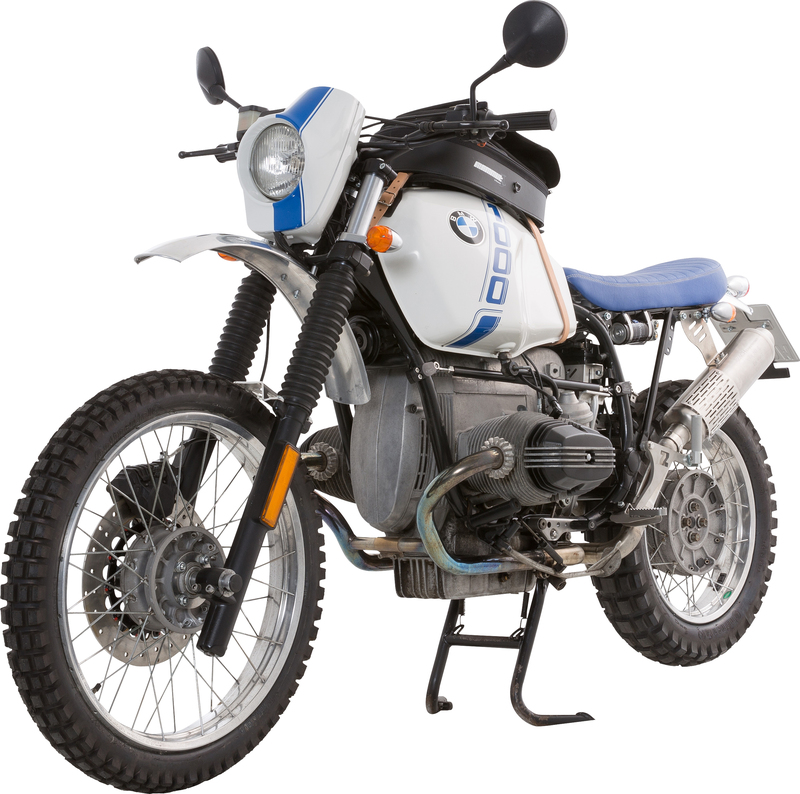 With this concept, you can simply keep riding the machine during the conversion phase. Plus you can break up the conversion into small, clear sections that can be planned in terms of time and money, and which can be carried out independently of one another. 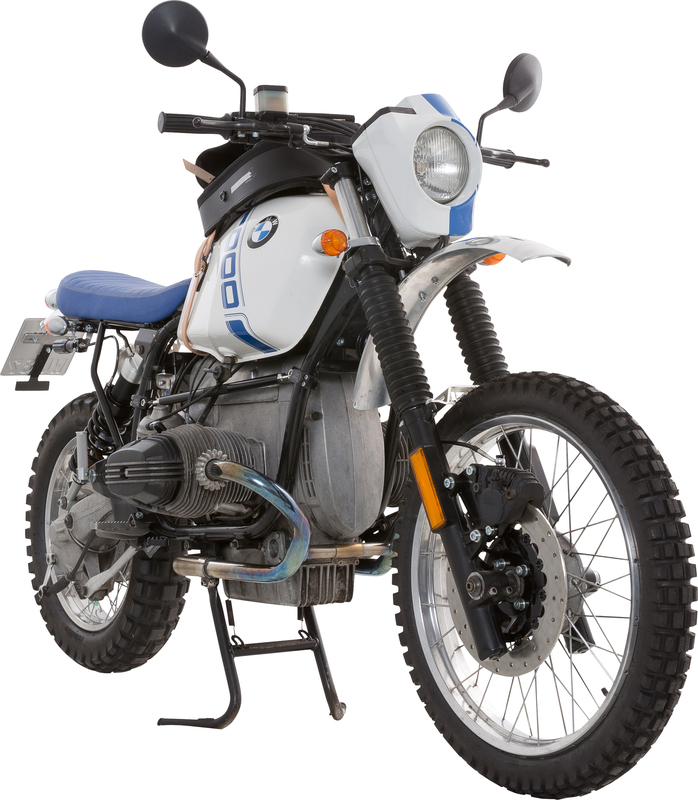 DER BLAUE FRANK not only stands for our classic Enduro, it also stands for our “rolling” conversion concept. We considered looking for a suitable machine for a rolling conversion project. A rolling conversion project because we didn’t want to park the machine on the lifting platform for a longer period of time, but instead wanted to turn heads occasionally in our region between Rhine and Eifel, as and when the mood takes us. 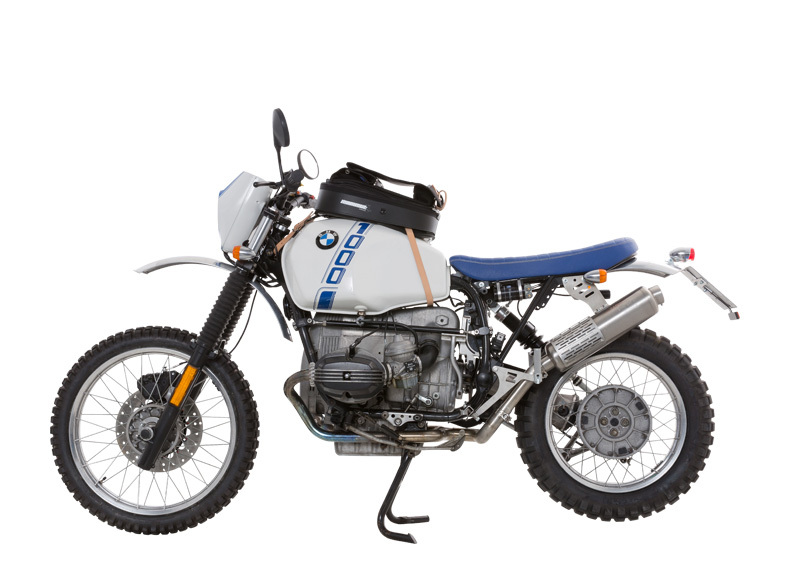 It was not meant to be an exorbitant custom challenge trailer queen, but rather a classic Enduro, rebellious, down-to-earth, with spirit and TÜV – plus plenty of scope for individuality. 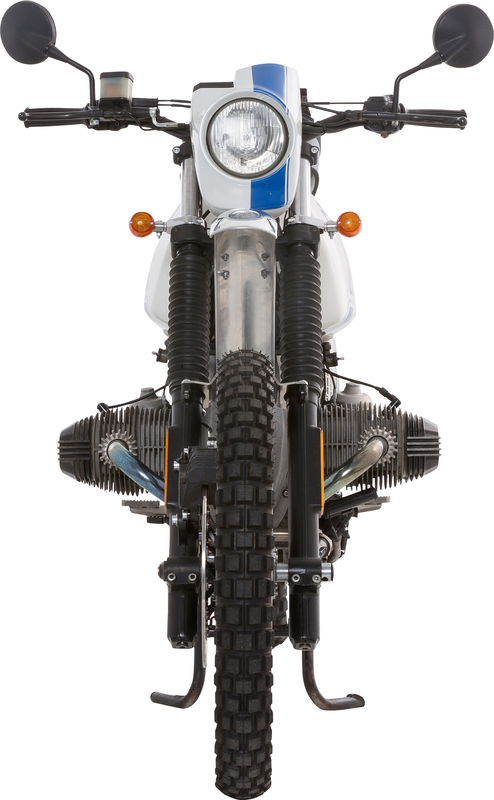 The twin-valve Boxers are a good choice because they have a screwed-on rear frame, making it possible to work with simple tools. 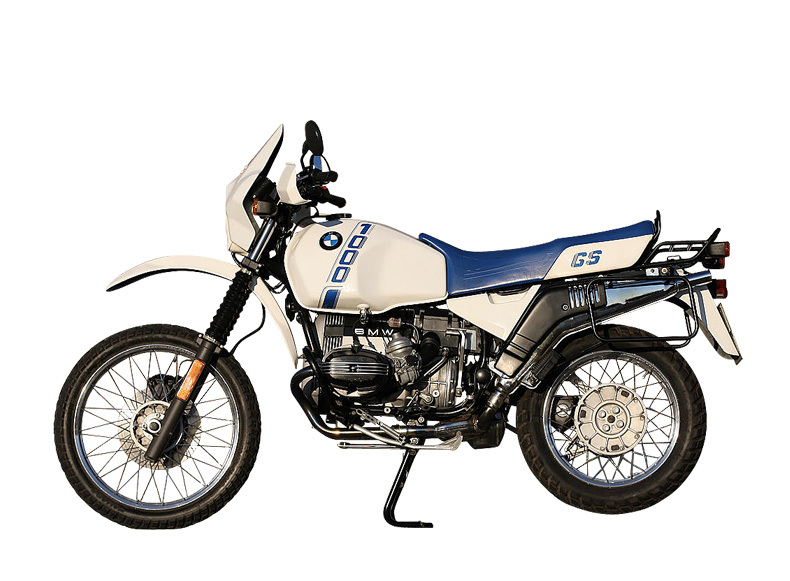 We opted for a R 100 GS that has seen many happy days with 34,500 kilometres on the dial. Why? It’s still widely available in the market, costing € 3500 to € 5500, is resplendent with a paralever and hence good suspension and effective brake system. The technology functioned as reliably as expected and did not need any special attention. OK, plastic wherever the eye can see, therefore a good basis for conversion without regret. Plus it can be dismantled easily. 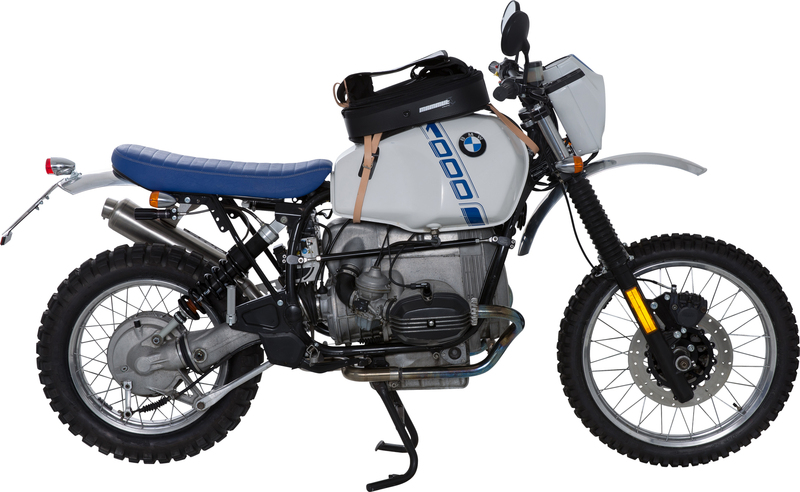 So, we’ve already substantially modified the machine with our Classic by Wunderlich GS rear frame, aluminium fenders, tail light and indicators: visually by the shortened, classic looking, bold rear and blue seat, having slimmed it down by a good 20 kg. We’ve put together four neat conversion packages for the paralever GS, which you can use to find and assemble its components for your own “rolling” conversion at home. Without any nasty surprises at the TÜV. Peng! "Der blaue Frank" as a comic! The Belgian artist and friend of the house Roland Groteclaes (www.rolandgroteclaes.be) accompanied the story of “Der Blaue Frank" and drew a comic. The video about "Der blaue Frank"